Bam! 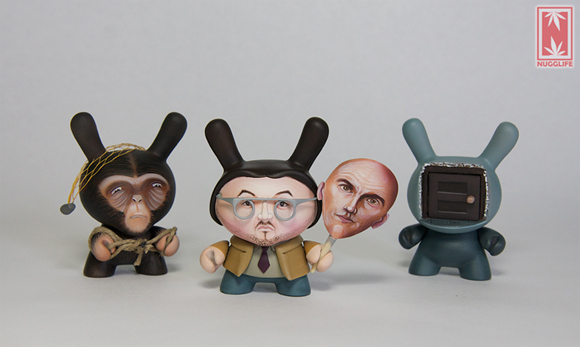 Time for another DTA Dunny Show 2 artist profile! Today we showcase the work of Ian Ziobrowski aka Nugglife! Ian has definitely carved his slice of the customizing pie with a certain green hand. You might think he has a one track mind on smoke filled pastures, but his work actually transcends that which is what we are showcasing today. His Being John Malkovich set (above) had more people salivating than thin mints during cookie season, and his animal creations are stunning. As with most of our artist profiles, we hit him up to see what he is working on. The creator of Nugglife NY, an upcoming Urban designer toy brand that’s inspired by the green side of society. Customizing designer toys since 2009. 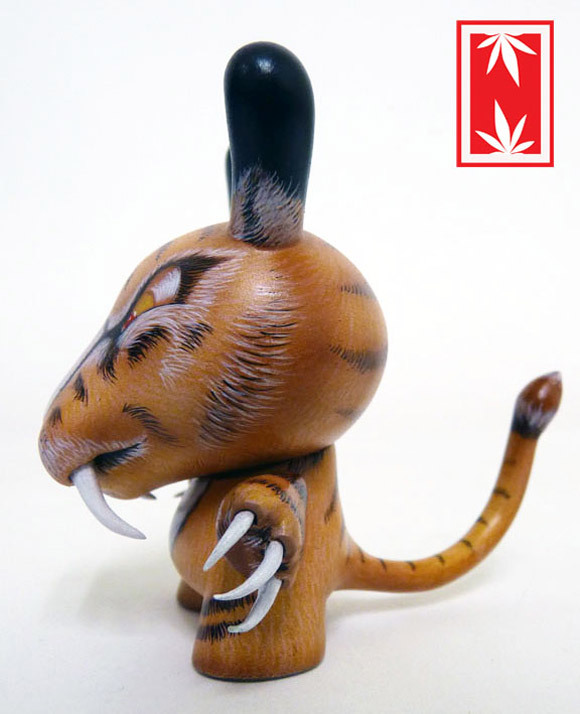 Nugglife has been featured around the world through galleries, Cons, and Herbal Festivals. I recently won the “Custom of the Year” award at the 5th annual Designer Toy Awards held at NYC this year, which was a huge honor. What attracts you to using designer toys as the canvas for your art? When I picked up my first DIY, I saw so many possibilities in bringing life to the characters stuck in my head. I’ve always been able to draw, I had just never thought of creating them into 3D form until I picked up a DIY. Now I can’t stop its an addiction! What was the inspiration for your piece in the exhibition? This piece is based off my Nugglife series. I don’t want to give away too much, but I will say that it’s a new character in the Nugg world. 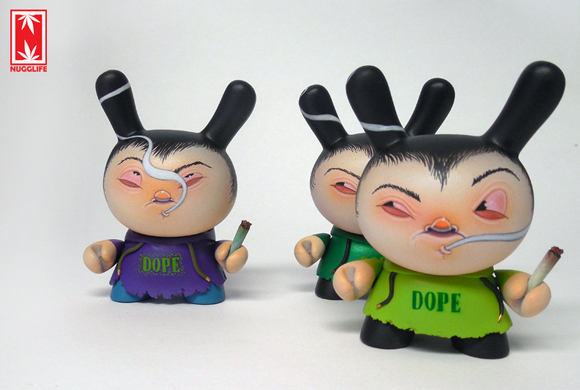 See you at the DTA Dunny show! 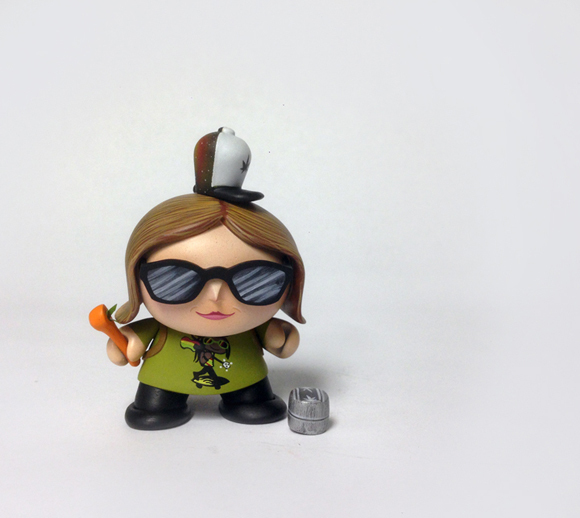 The post DTA Dunny Show 2 Artist Profile: Ian Ziobrowski AKA Nugglife appeared first on Kidrobot Blog.